After being bombarded by an endless stream of articles on the latest and greatest training and nutrition approaches, I felt compelled to discuss an often overlooked aspect of lifting; the psychological approach. This article aims to provide tips, mantras, and pre/intra/post-workout methods for optimizing your frame of mind as you pursue and achieve your fitness goals. We all have pre workout rituals – they may involve consumption of music, videos, food, beverages or supplements. These pre-workout rituals serve as a bridge between our hectic day-to-day activities and workouts. In a consumerist world, we often neglect the intangible and reflective rituals such as meditation and visualization. After a hectic morning of skipping breakfast, rushing to work, and back-to-back meetings, mediation might be the key element missing from your pre-workout ritual. Meditation can help to reduce blood pressure, decrease cortisol levels, decrease perceived stress, andimprove immune system function. The goal of these meditation sessions is to de-clutter your thoughts, clear your mind, and focus on the present. The most common types of meditation are guided meditation, mantra meditation, mindfulness meditation, Qi gong, Tai chi, transcendental meditation, and yoga. I encourage you to experiment with each to find one that you enjoy and benefit from most. In terms of meditation session duration, I encourage you to start conservatively, meditating for 5 minutes and increasing the time, up to 60 minutes, when you feel comfortable doing so. I find that 15 minutes of meditation prior to my morning workouts helps clear my mind, live in the present, and relax. These benefits improve my focus while I strive to achieve my gym goals for that day. If you’re worried about losing track of time, set a 15 minute timer and place it in another room or in the opposite corner of the rooms that you’re not tempted to get up and check the time. If you find yourself becoming anxious before you enter the gym, whether it be due to lack of motivation, fatigue, self-consciousness, and/or fear of failure, visualization might be the key element missing from your pre-workout ritual. Visualization is a powerful tool that can improve your confidence and workout performance before stepping in the weight room. For visualization to work best I recommend you set aside as little as 5 minutes of uninterrupted quiet time in close proximity to your workout time during which you can review your anticipated training plan for that day. I like to imagine myself walking in to the gym with my head held high and pep in my step. I check my ego, problems, concerns, and frustrations from day at the door and focus on two goals – enjoying myself and progressing in the weight room. Once I arrive I imagine how awake I’ll feel after performing my warm-up cardio and mobility movements. Afterwards I picture the exercises I plan to perform and how I’ll not only hit the numbers written in my book but I’ll fight tooth and nail to go above and beyond those numbers. Although the numbers may look daunting on paper or the plates on the barbell may look daunting in the squat rack, I imagine how I’ll approach the exercise with laser like focus and dedication without letting the barbell “win”. After this brief visualization I often feel more energetic and excited to weight train, which can be especially helpful on those days when I’m tired and nothing else seems to be going right. Journaling is an excellent way to expresses your frustrations for the day, state your goals, and help to clear your mind prior to working out. I find that journaling whatever is on my mind for 5 to 15 minutes prior to working out clears my mind and minimizes intra-workout distraction. By writing down everything on my mind at that time I can concentrate on the task at hand, usually lifting, and confidently know that all my to-do lists and thoughts are recorded on something tangible that I can refer back to at a later time. The final technique I employ before I begin a workout is listening to “pump up” music. Although this music varies from workout-to-workout, I find that variations of electronic music (trap, dubstep, house), rock (heavy metal, speed metal, hard rock), and rap (underground, freestyle, and hip-hop) psych me up best before a workout. I encourage you to experiment with different genres to find what works best for you. To prevent my mind and body from associating this “pump-up” music with other activities, I typically reserve specific songs or artists solely for pre-workout music. Once I finish my pre-workout ritual and step in to the gym, my intra-workout ritual begins. If you find yourself becoming anxious before you enter the gym, visualization might be the key element missing from your pre-workout ritual. To keep myself psyched up when I’m lifting alone and when I don’t want to listen to the crap that typically trickles out of the gym’s sub-par speaker system, I create a workout playlist that includes a mix of songs that psyche me up without distracting me from the task at hand. Remember when I advised you to check your ego at the door? Well I want to reiterate that you should be in there for YOU and not for anyone else! The harsh reality is no one else in the gym cares what exercise you’re performing, how you look performing it, or how much weight is on the bar. The only person you should be trying to impress is yourself. Furthermore, people are only going to watch and potentially judge you if you’re doing something unconventional, stupid, or crazy at the gym. Most people in the gym are curious and clueless so I encourage you ignore unless you need or want their help and advice. For example, I always ask for a spot while performing certain barbell lifts; you’ll gain respect from experienced gym members and gym employees who appreciate you practicing safe exercising habits as well as newbies who are unsure of proper gym etiquette. After asking for a spot from an experienced gym member (a.k.a. someone bigger and/or stronger than myself) I ask for form feedback. They might be able to identify sticking points, points of form-breakdown, and muscular imbalance during the lift that you never considered. Once you display confidence in the weight room, don’t be surprised if novice lifters reach out to you for advice and help. I highly encourage you to “pay it forward”; this encourages collaboration, feedback, and a positive support network in the gym. Once again, intra-workout is an excellent time to practice visualization techniques. Although, you shouldn’t be daydreaming with hundreds of pounds on your back or over your chest! I employ visualization between and immediately before sets. I imagine myself exceeding my progression goal, completing the prescribed sets and reps, and ensuring the proper muscles perform the movement. Once I begin the exercise I ensure my mind is clear, focus on proper breathing and engagement of the target muscles. With regards to intra-workout journaling I recommend tracking the following – exercise name and order, the number of sets and reps for each exercise, the intra-set and intra-exercise rest periods, and mind-muscle connection ranking (1 = Poor and 10 = Excellent). Once I complete my workout, I begin my post-workout rituals. To prevent my mind and body from associating this “pump-up” music with other activities, I typically reserve specific songs or artists solely for pre-workout music. Post-workout provides you with an excellent opportunity to reflect, appreciate, and record your workout performance. Reflection is a powerful tool after all training sessions – good, bad, or mediocre. I like to take 5-15 minutes post-workout to examine my mindset, physical wellbeing, and workout performance. I record this information directly below the intra-workout journaling entry for the day. During this entry I group my thoughts in to three different buckets – pre-, intra-, and post-workout. Here are some possible questions to reflect on. Pre-workout – How did my pre-workout ritual affect my gym performance? How could I improve my pre-workout ritual prior to my next workout? Intra workout – How were my energy levels? Endurance? Muscle pumps? Mind-muscle connection? Overall gym performance? Did I focus on proper form or simply go through the motions? What sort of breathing and visualization techniques did I use, if any? 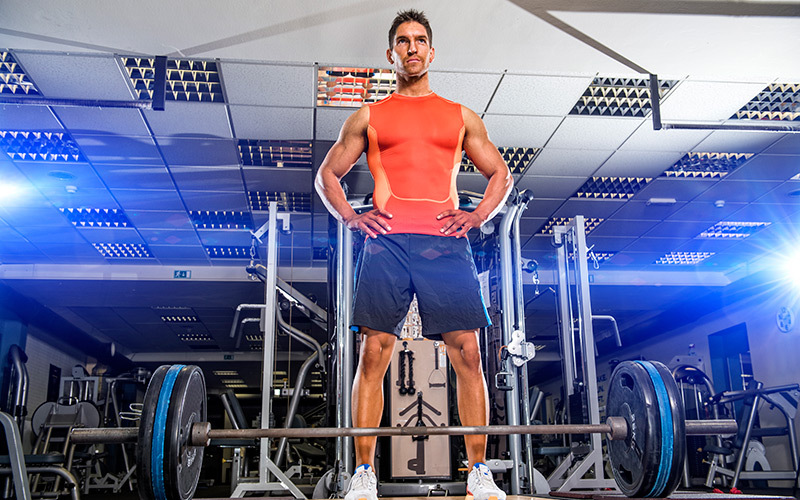 Post workout – What key factors made the workout a “success” or “failure”? What can I repeat during today’s workout to ensure future workouts are successful? I consider a workout a “success” if I progress via increased workload (e.g. increased sets, reps, and loads) or training economy (e.g. decreased rest periods resulting in performing the previous workout’s workload in less time). If I didn’t progress in the short-term (1 day to 2 weeks), I go examine my nutrition and sleep as these are often only require minor adjustments to improve. If I didn’t progress in the long-term (3+ weeks) then I examine larger variables such as my stress levels and workout routine. By examining these variables I can attribute progress (or lack thereof) to my current habits and lifestyle. Finally, I recommend all fitness enthusiasts include the following exercise in their routine – an exercise in gratitude. Far too often I see people getting caught up in having a bad workout and not progressing when we all should be grateful for having the physical, mental, and emotional capacity to exercise. Additionally, I thank my lucky starts every day I complete a workout without incurring or rehabbing an injury. Finally, don’t belittle yourself for having a bad workout; we all have them. What drives success is the motivation and attitude you take towards those days. Using bad days as “fuel” to increase motivation will improve your ability to grow as a person and progress in future workouts. To wrap it all up, here’s a schedule to optimize your mindset without occupying your entire day. Remember, even a little focus on the psychological aspects of lifting can provide noticeable benefits. 60-90 minutes of weight training – employ visualization, breathing techniques, and confidence to ensure optimal weight training performance. Record key weight training metrics like weight, sets, reps, and rest periods in your workout journal as well as intangible aspects such as mood, energy, and mind-muscle connection. 15-30 minutes post training – spend 5 to 15 minutes reflecting on your workout and document using a journal.